forty-two roads: Close Your Clothes! Says a fishwife who reviews shads. To their neighbor, Marilou Gladds. Even in a frosty breeze! Or a task so that is so easy it’s like taking a short nap! Every night went for a jog! Cows said MOO-ha! Pigs said OINK-ha! And his doggie barked a WOOF-WOOF-ha-ha! A dress that was loose and too baggy, she felt. The shrewd Duchess cinched up her waist with a belt! Through a field of dry grass that looked kind of like hay. 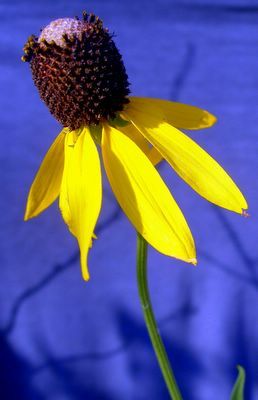 Where a grass seed was stuck, a seed known as a burr. That held tight to the dog hair’s looped crannies and nooks. As buckles (called Velcro) for everyone’s shoes. It’s better in the wind to clip them down. This is gorgeous - Lara is lucky to have such a laborious mom! This is one of the most beautiful projects I've come across.. I am really amazed and inspired by your handicraft. Your blog has been such a pleasure to read and really brightened by day! Came across photos of this project in flickr and was so impressed I clicked over to your blog. What a lovely, beautifully done book! Wow your book is so thoughtful and amazing! Nice work - love your blog too! I don't want to even think about how long that took! But the results are incredible so kudos!! Please contact me! I think I can hire you to build one for a friend! 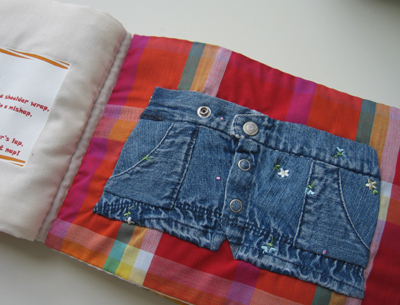 Saw your creations on the refashion website, and really loved the concept book! I'll get going on making one for my nieces' son who will be 2 in May, so I've got some time yet. Would I be allowed to borrow some of your poems? My goodness...I am in awe. Complete and total amazement! This is not only the best idea I have seen in ages (I LOVE how you can display some of your favorite outgrown but treasured clothing from your little ones) but is also done so beautifully! The poems are amazing as well and so creative! I cannot believe how amazing this is! Wonderful job! I am always trying to find a way to "use" my DD's outgrown baby clothes and this takes first place! Great job! AMAZING! I'm going to learn how to sew! Wow, what a beautiful book and such creative poems too! I love it! This is the cutest activity book I've seen! I hope you don't mind, but I added a couple pics of it and a link to your blog on my blog! I just had to share! What an adorable idea! WOW! How creative. SUPER! FANTASTIC job! great work! 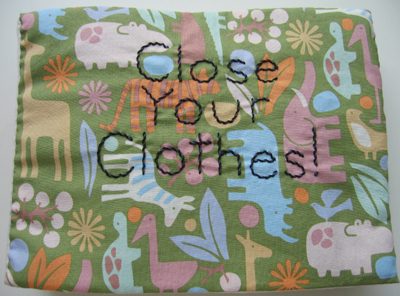 Hi Anna, I'm writing an article about your wonderful book to be included on http://www.clothdiapernews.com I'd like permission to use your pictures in the article. Please contact me at kristy@weewilliewinks.com to approve. Thank you!! I would love one! do you sell them? Brilliant! You're gonna get a lot of comments from me today... haha! love your creativity. How did you get the poems on the fabric? I work with Autistic children and would love to have one of these, do you sell these or could you send me the directions. I linked to you today. Absolutely inspiring! The most beautiful book I ever saw! I have had the link to your lovely book on my comp for ages now... it's the first on my list. I was going to sew one with a friend using yours as a guide. We still haven't gotten around to it...I have everything I need including a new baby so I should just stop and do it hehe It will never amount to the beauty of yours but it will be cherished. Thanks you for inspiring my heart. Oh, my! I am speechless. This has to be the most fabulous momma made thing I have ever seen! I managed to see loads of good sewing posts while browsing for this one. I love it! I wonder if I'll ever make the time to make one for someone. It's too late for my own kids, but it's so cute. Are you going to rewrite any of the poems and make one for Jakey? such a great idea for little ones to learn how to "fasten" themselves! I love it, great work! This is amazing! The poems are really clever. I especially liked the "snap" one, I think, but I'm really impressed that they're all different styles! wow, i love it! i took a look around your blog and it looks like we are from the same area. you do amazing things!! I found this via somedaycrafts.blogspot.com and wow what a great idea! I'm just about to start making a quiet book for my kids and now I have inspiration for a second one (and boy does my 3rd old need help in this dept.)! This is especially great because it's using stuff that's already got "functions" so it's easier to make and very eco-friendly/thrifty. Love it! Oh My Giddy Aunt! You are officially the bees knees! This Is AMAZING!! I've been wanting to make one like this, I've linked it from my blog. What a great piece! I'm speachless! Can you write a tutorial? I've never seen the shoe one in a book before. My little boy would love this. that's great,ı couldn't find a word realy.ı gonna try to do make similar.ı hope ı can do. this is really great! i wonder if i could make one, but i am not so qualified to do this. ;) this is not only a gift, it is also a piece of art. congrats!!! It's amazing ! I think Lara is very lucky girl... 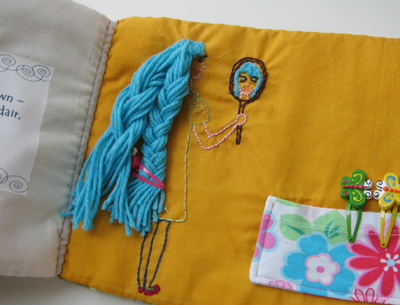 I try to make to do this book, but I'm not sure it will be like yours... Maybe, I can use different objects..
Oh what a cool stuffs, so cool those ideas, I will make it for my child, are very cute for their rooms! Thak you very much for the ideas! This was definitely worth the effort you spent in making it - its gorgeous! Its also timeless as I have come across this years on and am going to make one for my daughter so thanks. WOW! This is the cutest little soft book ever! great job! just fabulous! I've got to make one for my grandbabies. why yes this does look laborious, but well worth it! beautiful project! 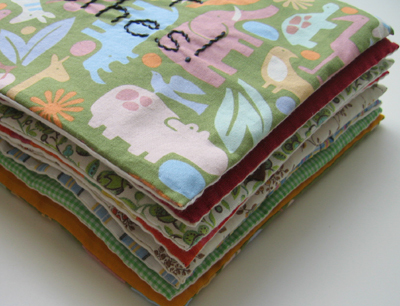 I need to make a quiet book for sure since my son seems to be giving up naps on the weekends! This is an amazing idea!! I love it! What a fun idea for gifts for little ones! Just too fun for words! Amazing project! Thanks for sharing! How clever! Thanks for sharing. 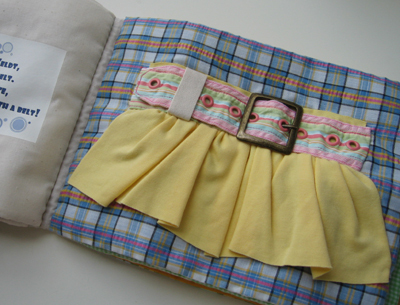 Wow, what a cute way to make a memory book out of your child's old clothes in such a clever way. Love it. This is fantastic! I absolutely love it. Well done, it is a work of art. What a wonderful idea! Would you happen to be planning a tutorial or pattern of sorts for this project?! Such a great way to keep those favourite baby outfits that you can't bear to pass on...definitely making one of these for my girls...one day! Just adorable! I love it and love the little clothes you have fashioned and your adorable poems too! I want have to know more and more, on your blog just interesting and useful information. This is fabulous! Nice job on this! Love this idea! So creative. This is my favorite quiet book to date! I am starting one now. I was in tears going through all of my little girl's baby clothes. I am excited to actually be able to use them though! I am also wondering if you wouldn't mind sharing a few more tips on making my own. babymegs99@hotmail.com Thanks so much!! Just wondering if you are selling these!? I would love to purchase one. Please email me at kerrimiller1990@hotmail.com if so! I too would love to purchase one if you are interested :) my email is kerpercie@gmail.com. I've just found this idea via the Petit Citron website. Absolutely Brilliant, what a fantastic idea and a wonderful way to make a keepsake while teaching your children useful skills. You are one very talented lady. THANK for sharing with gorgeous project idea. Wow! Amazing! 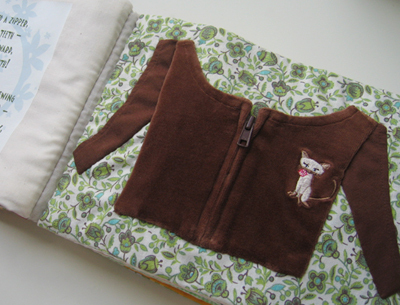 This inspires me to want to make a book like this for my baby, but my sewing skills are awful! You did such an awesome job! So creative! I love the fact that you used baby clothes instead of having to create everything yourself. Out of all the patterns I've looked at this seems the most re-creatable. Congrats on a job well done. <3 it! I am making something similar for my son's 2nd birthday coming up in a couple months! Thanks for the wonderful idea!! Awesome quiet book! Thanks for sharing. Amazing ! I love it! Thinking about doing it, maybe I'll add a page to learn how to tie shoelaces but I am a bit afraid by the time it will take me to do this! 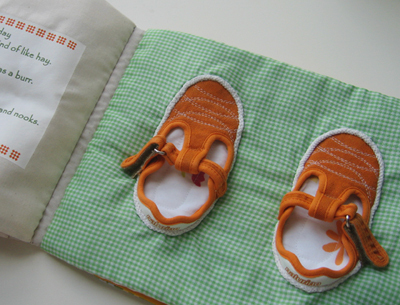 I like the idea of the cloth book with old baby clothes and shoes. My mom did the same thing with mine. She could not give them away because she made them herself. I still have the book with me and I am planning to do the same with my son’s clothes and give it to him when he is older. Perhaps this is a start of another family tradition. WOW!!! What a great idea! I have to try it! Just so extremely clever you are so talented. In awe love the poems so clever. Have you ever thought of selling the tutorial for the book and copyrighting your poems? Awesome!!! I would love to try and do something like that but I dont know where to even start! I would be interested in purchasing one? This is just amazing! Thanks for sharing. I pinned this one pinterest!!!!! And totally love it! I am so going to make this! It is a "labor" of love that is for sure! But will be loved for many years to come! Thanks for sharing this lovely gift! This is adorable!!! Wow. Super creative and cute. I'm going to start saving my son's clothes so I can make him one of these one day... thanks for sharing. Saw this shared on Google+. What a fun keepsake and adorable book! Great job! Thank You so much for sharing this cute and wonderful idea. I will share this on my latest blog. This is useful and interesting concept about Online Reputation Management services and usefulness. Strategies is great and is one of the very strong benfits. suits for men - Irelands award winning online store for Mens suits, Wedding Suits and Mens Shirts buy suits online cheaper than the shops. Free delivery. romantic lingerie - ROMANTIC LINGERIE ~ Welcome to our range of Romanitc Lingerie products. Romantic lingerie for the more special occasions such as weddings and honeymoons. I'm gathering materials to make this wonderful little book. 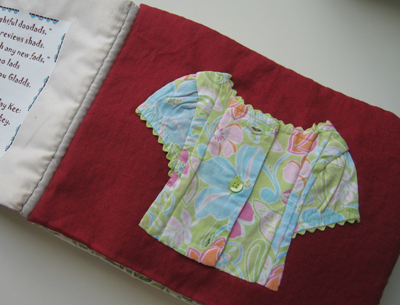 Could you share how did you sewed the book together? A cute quiet busy book and poetry to boot! You are quite creative. I first saw your book on Facebook when a girlfriend shared it, then I followed the link to "Totally Green crafts" to you! I'm gonna pin if you don't mind! Amazing thought!! Really like it the way you put baby clothes and shoes in it. Its looking so good. She is lucky to have this amazing gift. I really like all the collection you have shared. Mostly I like the design and color. This is very useful information about baby dresses.I love it. Great book! I love it! I want to make one for my grandson, could you share measurements, pattern, some of your ideas, etc, I would appreciate any help. This book is so cool! How did you make the shoes? 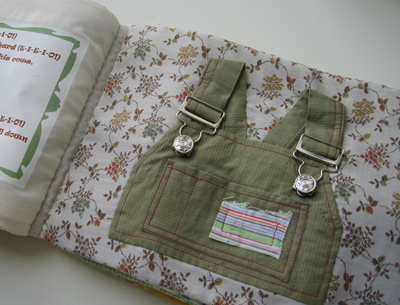 i would LOVE to make a book like this for my goddaughter.